Jobs include Customer Service Reps, Care Associates, Case Management Coordinators, Nurses, IT openings and many more. Their job mix changes regularly, so if you don’t see something today that fits, be sure to bookmark their Job Search page and check back later. To see the current openings, start here > Click “Advanced Search” > Select “Yes” from the “Potential Telework Position” drop-down menu > Click the “Search” button at the bottom of the form. For more jobs like these, check our Newest Jobs & Gigs page. To be the first to hear about jobs like these, like our Facebook page and check your feed for our posts. Good luck in your work from home plans! 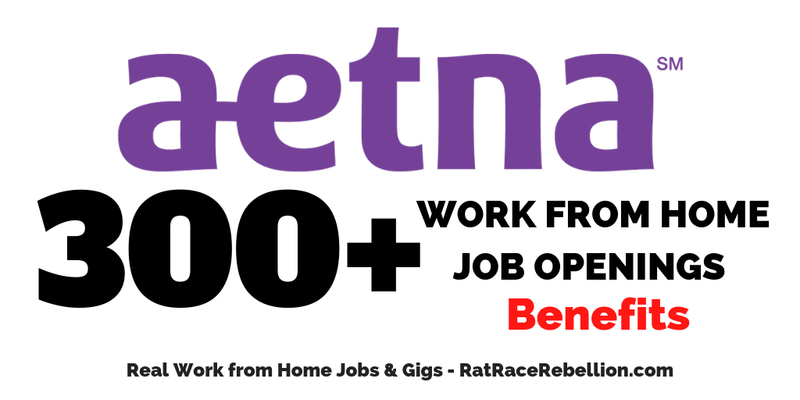 This entry was posted in Hiring Companies, Jobs with Benefits, Work at Home Jobs and tagged Aetna. Bookmark the permalink.